I heard that this would help transition from birth control. So far so good! My doctor recommended DIM Detox by Pure Encapsulations and I have felt better taking it. 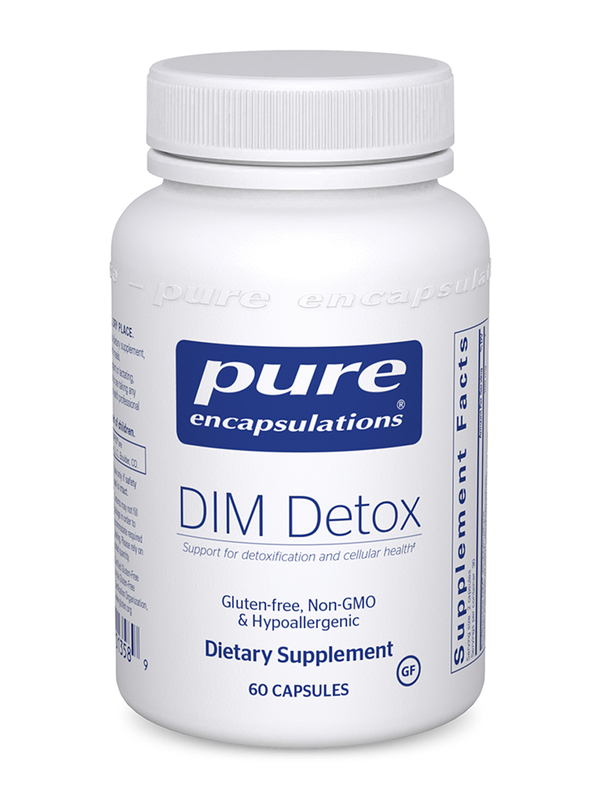 DIM Detox by Pure Encapsulations was recommended by my doctor and works. I continue to order. 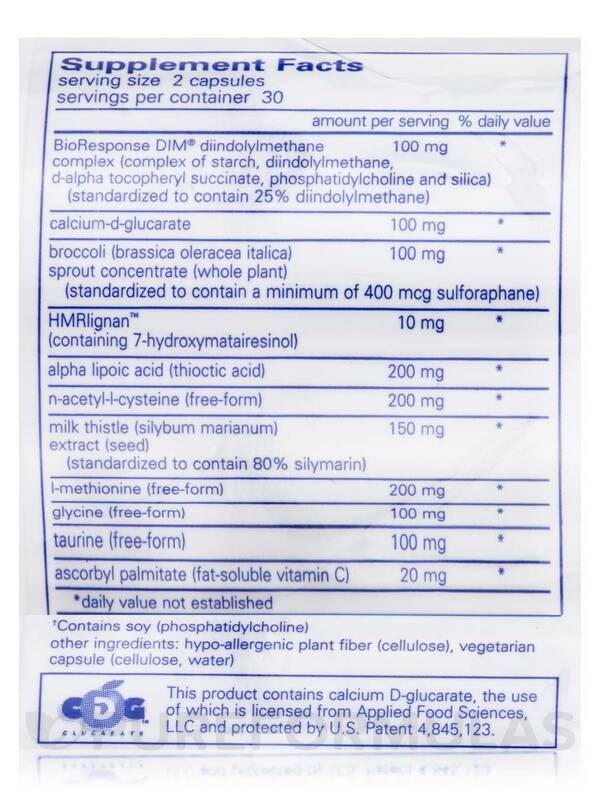 Diindolylmethane complex (DIM) is a plant indole that may have several health benefits. Good dietary sources of plant indoles include cruciferous vegetables like broccoli‚ cabbage cauliflower‚ and Brussels sprouts; broccoli is an especially good source of indole-3-carbinol. Unfortunately‚ busy schedules and processed convenience foods may not provide enough of these ingredients on a daily basis; believe it or not‚ to reach the recommended intake‚ you would have to eat nearly two pounds of raw veggies per day! That's where Pure Encapsulations' DIM Detox can come in. DIM serves as a phytonutrient and antioxidant. It may fight off free radicals that can potentially damage your cells. Every capsule of DIM Detox contains BioResponse DIM®‚ a highly bioavailable form of diindolylmethane‚ which is an indole-3-carbinol metabolite. It may support the maintenance of a healthy balance of estrogen and other hormones in both women and men. It also contains broccoli sprout concentrate that has been standardized to contain at least 400 micrograms of sulforaphane‚ another compound that may relieve mild inflammation. 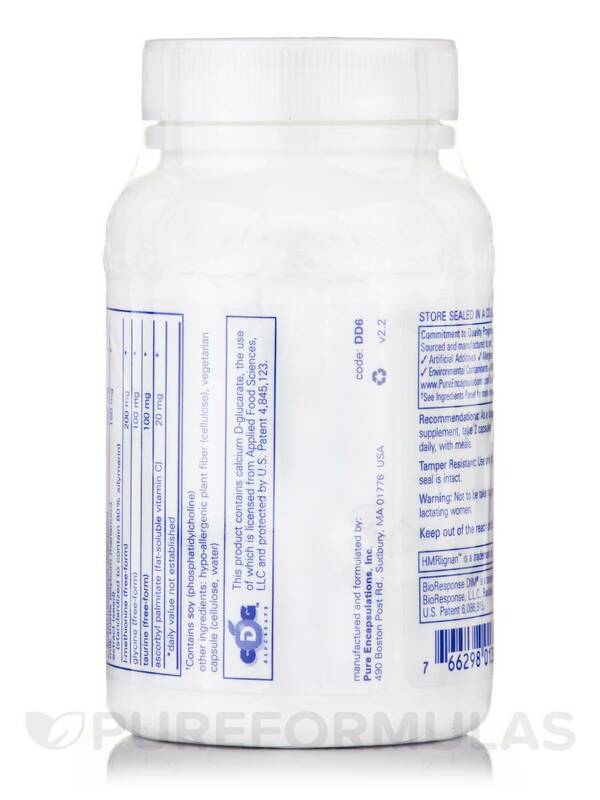 In addition‚ this supplement contains a variety of compounds like HMRlignan™ (derived from Norwegian spruce) to support detoxification‚ bone health‚ breast health‚ heart health‚ and cognitive functioning. NAC (N-acetyl-l-cysteine)‚ natural milk thistle extract (silymarin)‚ and alpha lipoic acid promote the liver's ability to undergo phase II detox enzyme activity. Meanwhile‚ essential amino acids like methionine‚ taurine and glycine allow for effective cellular metabolism and additional detoxification support. Take two vegetarian capsules daily with meals. 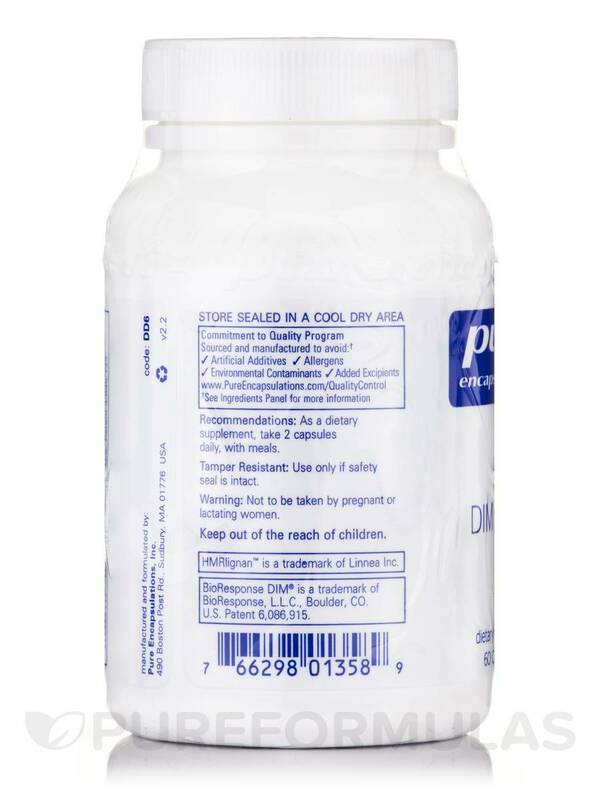 At the recommended dosage‚ one 60-capsule bottle of DIM Detox by Pure Encapsulations should last for about one month. Tamper resistant. Use only if safety seal is intact. Not to be taken by pregnant or lactating women. Keep out of the reach of children. Store sealed in a cool‚ dry area. Allergen Caution: Contains Soy (Phosphatidylcholine). Pure Encapsulations is a quality company. Love this DIM Detox by Pure Encapsulations. It is helpful for male and female reproductive support. I’m 62 and have struggled with acne the past 6 years. I have tried everything and Dim Detox has worked better than anything else. 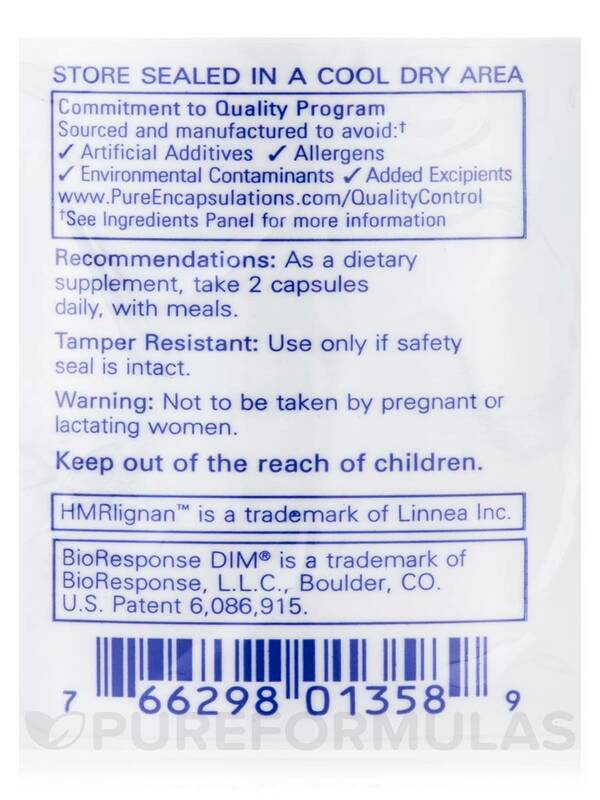 My PMS and breast tenderness have been completely eliminated since taking DIM Detox by Pure Encapsulations. I will never be without it. My Dr recommended DIM Detox by Pure Encapsulations to me to help with my hot flashes and night sweats. It worked in days. This is amazing! The price. It's a little more than I was hoping it would be. My night sweats and hot flashes stopped within a week of taking the DIM Detox by Pure Encapsulations. I'll be recommending this anyone when the subject comes up! Dr recommended product & easy ordering! My OBGYN recommended DIM Detox by Pure Encapsulations to me for benign breast cysts and PureFormulas makes ordering, auto re-ordering, and delivery very convenient! I will know how well the product is working at my next yearly check up so I plan to keep taking these for a year to see the results. I like that the formula is complete. I wish that I'd know about DIM Detox by Pure Encapsulations 10 years ago. So important to detox these days! DIM Detox by Pure Encapsulations was recommended by my naturopath. Been using for months with no problems.